Since this is a nine-patch, it worked up quickly! 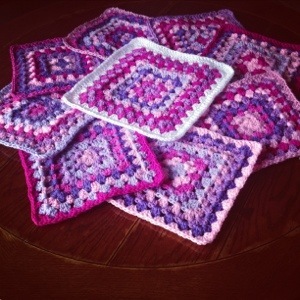 Use my Perfect Granny Square free pattern for these squares for the beautiful look you see here. I had trouble choosing a joining color. After some discussion with crafters via social media, I decided to join with white to match the square frames. I almost did a deep purple which would have made me take the final border in a different direction, but I think I’ll save the contrasting join for a different project. I call this join a mini-twist. I did make it up, but I’m sure it’s out there already! – update – now referred to as PLT Join – find the free pattern on my Crafter site! I have a total crush on this blanket. 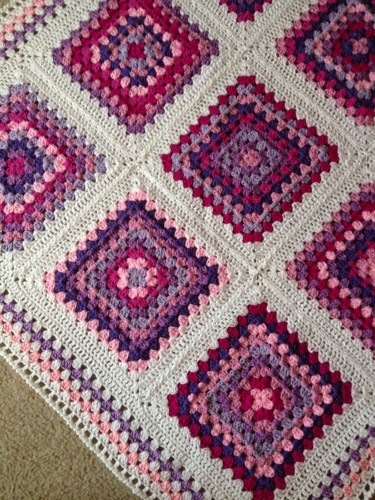 The first of many patchwork-style blankets to come! 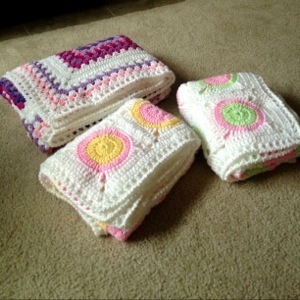 This blanket was for the older sister of twin babies! The Gumball 10 blankets are pictured below. This year, I converted Gumball to a free pattern! Yay! 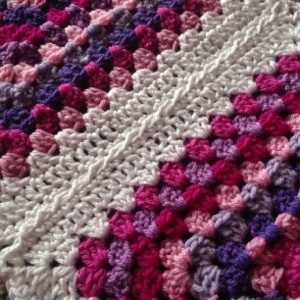 Posted in PatchworkTagged Crochet, Granny square, Motif, PLT join, ScrapsBookmark the permalink. Can you share your join twist? Thank you for your wonderful collections and the generosity with which you share them. 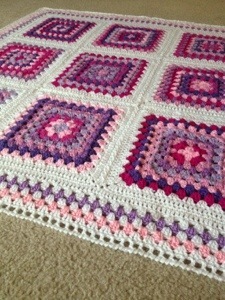 For crochet on your photos, charts are not needed. all very clearly. I fully share the view of the white border. I do the same. Mistakes – it’s not scary! Main thing is that you inspire people and help them. With pleasure watching your content and a very very want to knit something like that! Do you have this pattern available somewhere? I love this and would like to make it! And just a simple granny stitch border with Reverse SC (Crab Stitch) as a finish. Great blanket! What weight yarn and size hook did you use? 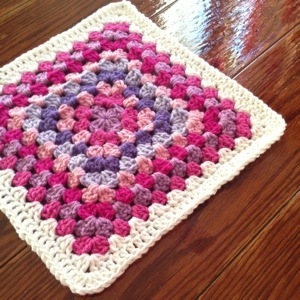 Here’s a free tutorial that is the exact Join I used for these squares – if you replace the SC with HDC, it works! And it makes a slightly thicker “border” between the squares. I’ve done it before and loved the outcome. 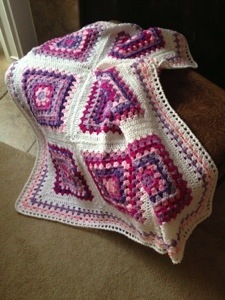 The pink & purple granny square blanket!